Today I dressed a little more comfortable and casual. I have been dying to get this “More Issues Than Vogue” tee, for what feels like forever and thanks to @rubyclaireboutique, it’s finally mine! The quality is amazing, its strechy and fits perfectly (I am wearing a size small). 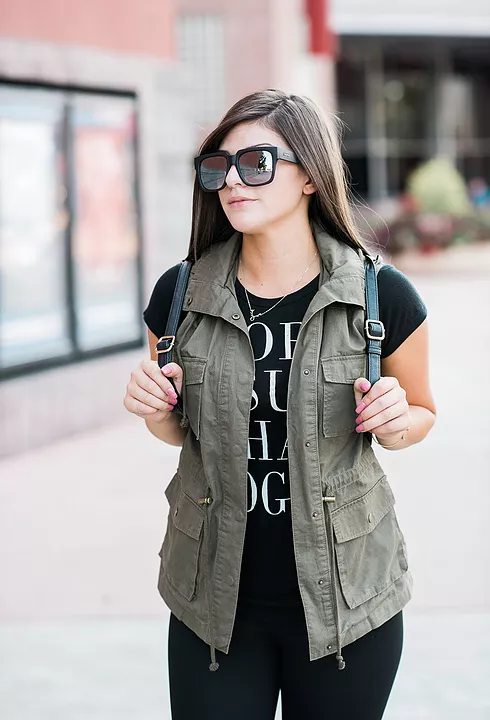 The vest from Ruby Claire Boutique is also to die for. You can either button it, or tie it or leave it open completely. I have styled it above in all three ways so you can see. 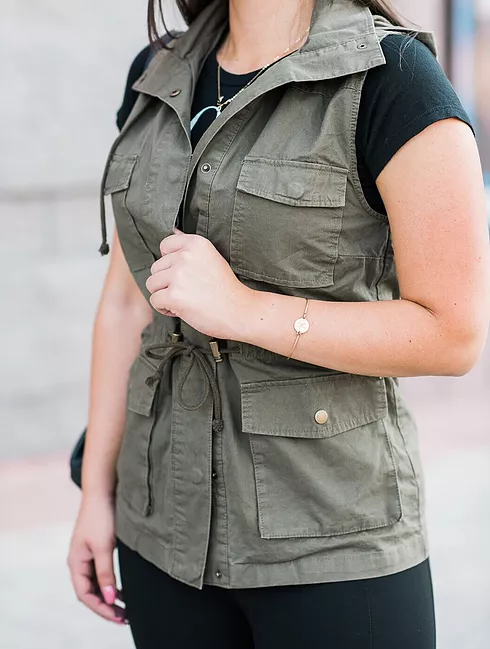 It is the perfect “jacket” to layer when it’s not too hot or cold outside. I am wearing a size small in this green vest as well. The leggings are topshop and hold everything together.. if you know what I mean! They do still have a stretch and are comfortable as well. The backpack was from the BP department in Nordstrom and is faux leather. My shoes are THE BEST shoes to walk in! They are from target and are still available online, while supplies last. The Silver Loft has the cutest jewelry which is pictured above. They have everything from silver, to gold, to rosegold and I love that all the pieces are so delicate looking.